It is with heavy hearts that we said goodbye earlier this week to an incredible scholar and friend, Helen “Lena” Astin, who passed away on Tuesday, October 27th. Born in Serres, Greece in 1932, Lena came to the U.S. in 1951 to pursue an education in psychology. Having earned her bachelor’s degree from Adelphi University in 1953 and her master’s of science from Ohio University in 1954, Lena joined the psychology graduate program at the University of Maryland where she met her husband, Alexander, or Sandy as he is better known around here. After graduating with her Ph.D. in psychology from the University of Maryland in 1957 – just the second woman from the University to earn her doctorate in psychology, Lena worked with the Commission on Human Resources and Higher Education within the National Academies of Sciences during the 1960s. Her research focused on women in the workforce, and her work began attracting greater attention as the women’s movement during the 1960s gained greater visibility. Beginning in 1970, she chaired the American Psychological Association’s (APA) Task Force on the Status of Women in Psychology, and this committee’s work resulted in the creation of Division 35 within APA, which focused on “researching and promoting the psychology of women” (Feminist Voices, 2013). Lena and Sandy joined the UCLA faculty in 1973. 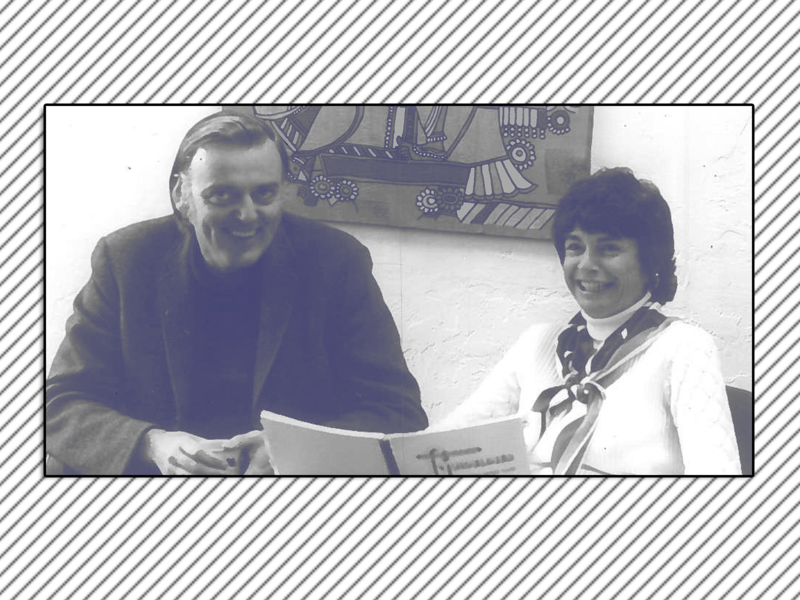 They worked together to create the Higher Education Research Institute (HERI), which continues to run the Cooperative Institutional Research Program’s (CIRP) Freshman Survey that began at the American Council of Education in 1966. Lena’s research on women in higher education continued in this new role, and her influence can be seen in the research of current faculty, items that remain on the surveys today, and even the structure of the reports HERI continues to deliver to campuses. While at UCLA, Lena served as Associate Provost of the College of Letters and Science from 1983 to 1987 and later co-founded the Center for the Study of Women with colleagues in 1989. She became Distinguished Professor Emerita of UCLA and continued to work as a Senior Scholar of HERI after she retired in 2002. Additionally, the Association for the Study of Higher Education (ASHE) recognized her achievements with the Howard R. Bowen Distinguished Career award in 2001 and the ASHE Mentoring Award (with her husband Sandy) in 2010. Lena is survived by her husband Sandy, her two sons, and her three grandchildren. Her legacy lives on also through her academic family, located throughout the U.S. and abroad. We will remember Lena most for her passion for her scholarship and the love and care she showed to all whom she encountered. If you would like to share a personal memory of how Lena touched your life, please complete the form at the link below, and we will add your memories to this page. Lena’s active involvement in the feminist movement and research has had a lasting impact on how colleges collect and review data regarding student surveys. Since their inception, HERI student (1966) and faculty survey data (1978) have been disaggregated and reported by gender largely due to Lena’s research interests on women in higher education and her desire to address gender disparities. Her focus on education and women’s career development, leadership, faculty performance and rewards, and spirituality constitute landmark studies in the field and added significantly to HERI’s capacity to focus on issues of importance to educators. Her joyous spirit enriched the lives of many students and colleagues engaged in social change. Lena’s research on equity, gender, leadership, civic engagement, spirituality, and so many other topics has been pivotal in shaping our field. Her role within UCLA’s Higher Education and Organizational Change program and her co-leadership at HERI for several decades were so significant that it’s hard to imagine either without the imprint that she made. In my years working alongside Lena at HERI (first as her doctoral student, then as her colleague), I marveled at the way that she blended her zest for life with her seriousness as a scholar. You could always count on Lena to speak the truth and to expand our collective scholarly thinking far beyond narrow boundaries. The lively intellectual “debates” between Sandy and Lena were probably the most educational (and entertaining) moments of life at HERI. Lena always said that what she loved most about her job were “the students.” She got to know them, she shared her life stories with them, she pushed and challenged them, and empowered them to accomplish more than they ever could have imagined. All of us have benefited from all that she did for HERI, for UCLA, and for the larger higher education community. I was privileged that Lena was one of the first few people I met when I entered my Ph.D. program. I recall Lena sharing a significant amount of time with me to discuss all things related to doctoral work. Strengthening our bond, which grew tremendously over my few years in the program, was our common Greek heritage. It was a special and tailored interaction when Lena would engage me exclusively in Greek. We spoke at length about the tapestry of her life. While it is undeniable that Lena created substantial new knowledge in the field and forged pathways for generations to come, I most appreciated her authenticity. Lena was one of the rare professionals that wasn’t afraid to be emotionally expressive, to discuss her beliefs, and to exchange stories. Her emails to me always began with “My Dear Christos” and concluded with “Sending you my love”. Lena’s passing has caused tremendous pain for those of us who knew her and is a massive loss for humanity. “Blessings on your journey. Blessings on your way. On your way back home. Just carry the light, within you…” (The Road From Serres, p. 168). I was fortunate to have dinner with Lena and some of my cohort mates my first year in HEOC. Lena insisted that we order a couple bottles of wine, and over dinner shared with us words of wisdom, but more importantly, words of encouragement. That was my introduction to Lena, and it was illustrative of what I saw from her from that point forward. I’ve not come across anyone who cared more about students than Lena. She deeply cared about what they were doing, even if she barely knew them. / / I’m proud to run a program in her name, the Helen S. and Alexander W. Astin Civic Engagement Scholars program, more than anything because it gave me a chance to introduce undergraduates to Lena and Sandy, and watch as these two legends of research gave such warm and encouraging advice to young people doing substantive research for the first time. Lena will be so greatly missed, but I take solace in knowing that her pioneering work continues in the hearts and minds of young scholars learning to pursue their passions through rich inquiry. It is the ultimate tribute to a woman who personified what it means to be an educator. I gained so much insight from Lena and benefited greatly from her warmth and mentorship. Lena’s interest in students’ lives extended well beyond academics, as she cared about them deeply personally. Having interacted with Lena as a graduate student, postdoctoral research fellow, and colleague, I learned how to be a better scholar and better person from Lena’s example. As I transitioned into my current role, Lena frequently offered incredible personal and professional support about how to adjust to my new responsibilities. The entire HEOC, HERI, and higher education communities have benefited immensely from her leadership, scholarship, and compassion. To me, Lena has always been the heart and soul of HERI and the HEOC program. I first met Lena when I took her Student Development class while I was in the Counseling & Student Affairs program in 1997. She demanded a lot of her students—my favorite kind of teacher. When I decided to pursue the PhD, I wanted to join HEOC and work at HERI because there was something so special about this place at that time. When I think of Lena, I don’t focus on one particular memory, but rather a feeling or essence of her strength, wisdom, and kindness. She cared about all of us as individuals. Knowing my father was ill, she asked about him (and how my mom was coping) every time I saw her. It meant the world to me. Among the many things I learned from her, I think the most significant is that it is possible to be a sensitive, compassionate woman and a passionate, intelligent scholar at the same time. I will miss her terribly, but I know that her values are carried on by those of us who were fortunate enough to know her and learn from her. I didn’t know Lena well but was struck by her deep intelligence, kindness, and generosity in my few interactions with her during my time on the Jossey-Bass Higher & Adult Education team. She made so many contributions to the field and mentored so many scholars that I am sure her legacy will live on. I extend my heartfelt sympathy and condolences to Sandy and her family, as well as the many colleagues who will miss her. As a student trying to make her mark in the world of research as a student, Lena was part of making that dream come true. As a struggling student having to pay for college by myself, I was able to research the social impact of murals in Los Angeles as a 2012-2013 Astin Civic Engagement Scholar. Art history is my passion and being an Astin scholar was the most memorable experience at UCLA. I met my lifelong friends within my cohort and got to make an impact. This would not have been possible without this remarkable woman. I send blessing from the deepest part of my heart and give my never ending gratitude to her and her family. The entire world is a better place because of her and I send her love. My undergraduate experience would not have been the same without Lena. I was able to explore my interests in community organizing and community development first-hand as a result of the Astin Civic Engagement Scholars program, and it was truly a pleasure to have met Lena and Sandy by the end of my year of research. Her passion and contributions to the feminist movement, the psychology field, and the lives of many, will carry on for generations. It was in a huge part thanks to Lena that I found my way into graduate school, and I could not thank her more for that. From the bottom of my heart, I extend my deepest sympathies, gratitude, and blessings to Lena and her family and friends.